Enjoy this relishing #recipe this #weekend! 1.Arrange 2 #banana slices in each of 4 shallow bowls. 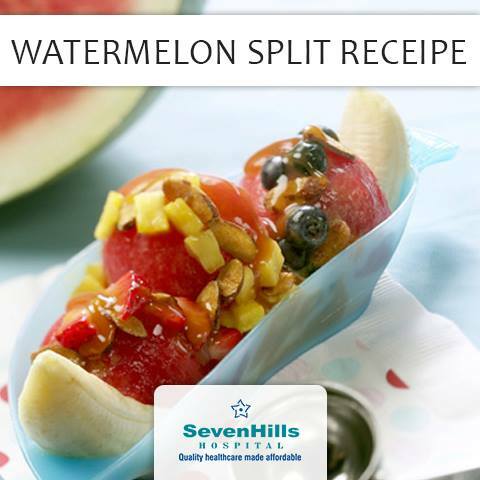 Use a standard-size #ice-cream scooper to make watermelon balls, placing 3 scoops in each dish on top of banana slices. 2. Top with 1/4 cup berries and 1/4 cup grapes. Sprinkle each split with almonds, then top with 1/4 cup yogurt. 3. Garnish with fresh mint and serve immediately.